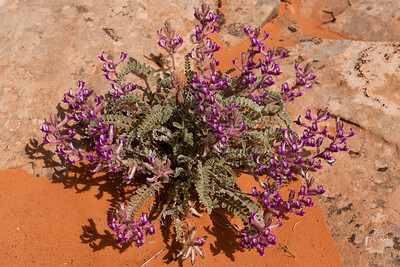 Grand Staircase Escalante NM is a 1.9 million acre area in southern Utah. We only scratched the surface of this wild and beautiful place since we were there for only a few days before going to nearby Bryce Canyon National Park. 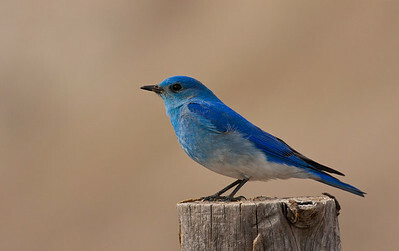 We camped at Kodachrome Basin State Park, which is part of the Grand Staircase even though it is not included in the National Monument (since it is state land). 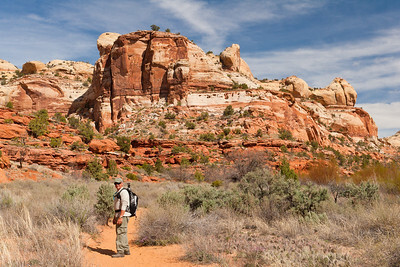 While there we hiked some of the wilderness areas including Lower Calf Creek Falls. 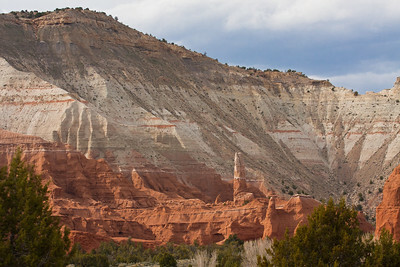 We also visited Paria Canyon, which is the location of an old movie set used in the Clint Eastwood movie "The Outlaw Josey Wales" and has some incredibly beautiful multicolored cliffs. 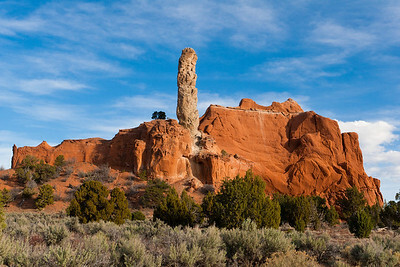 The campground at Kodachrome Basin State Park is surrounded by multicolored cliffs and rock formations. 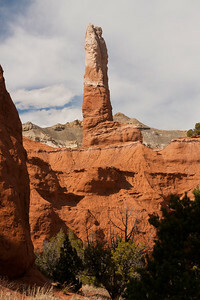 A monolithic spire known as a sedimentary pipe towers over a red rock formation in Kodachrome Basin. These "pipes" are unique to this area. 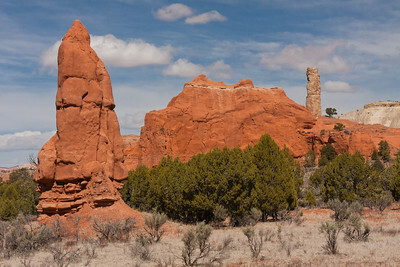 A different Kodachrome Basin panorama. Rugged scenery on the hike to Lower Calf Creek Falls. 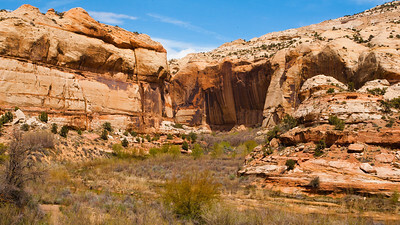 Lower Calf Creek is surrounded by steep cliffs. 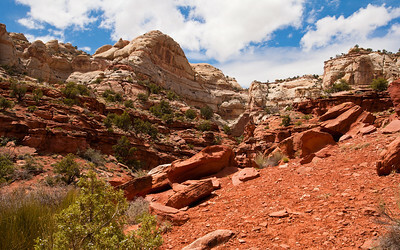 Enroute to Lower Calf Creek Falls. 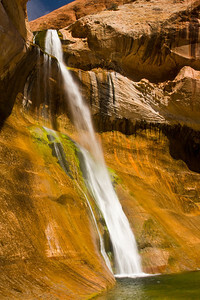 Lower part of Lower Calf Creek Falls. 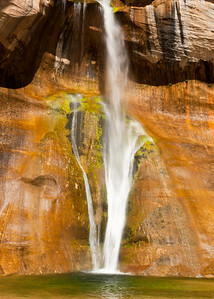 Lower Calf Creek Falls. Vertical drop is about 126 feet. 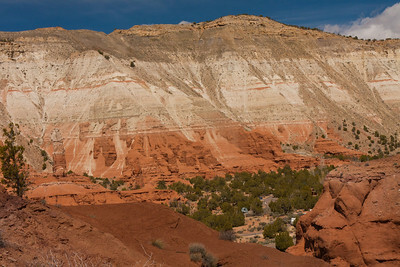 The Vermillion Cliffs around Paria. 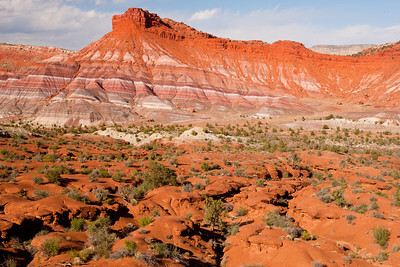 A Vermillion Cliffs pano near the site of the old Paria movie set.